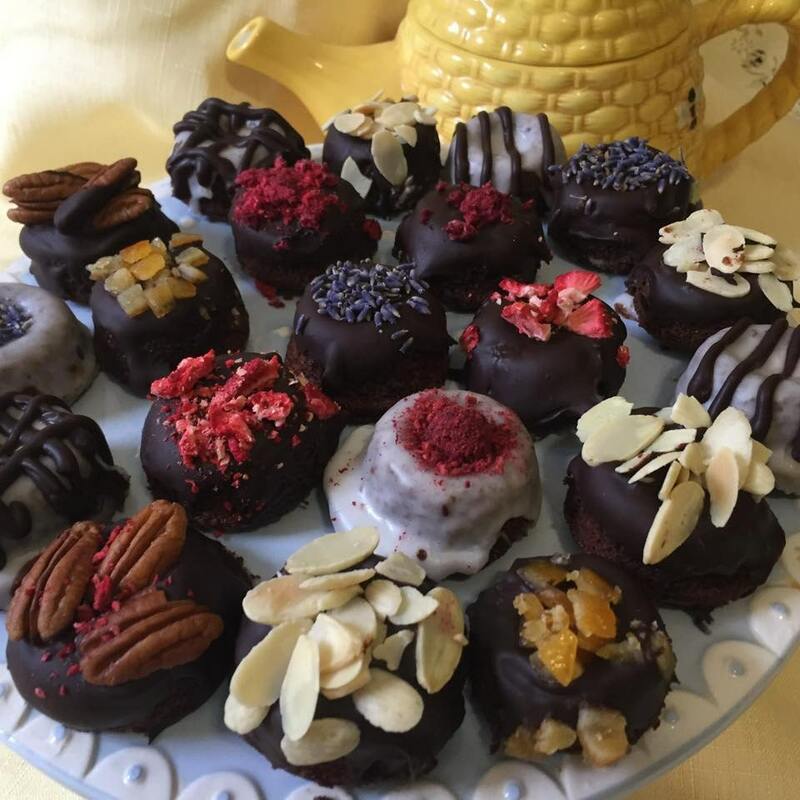 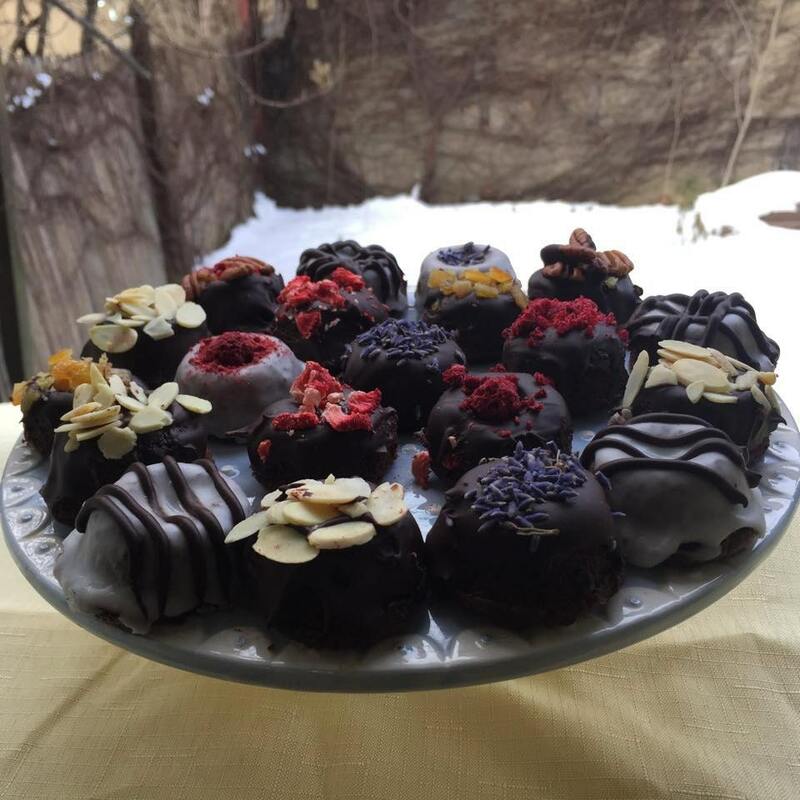 Mini Gluten free Chocolate donuts with dehydrated strawberries, raspberries, almonds, pecans, lavender! 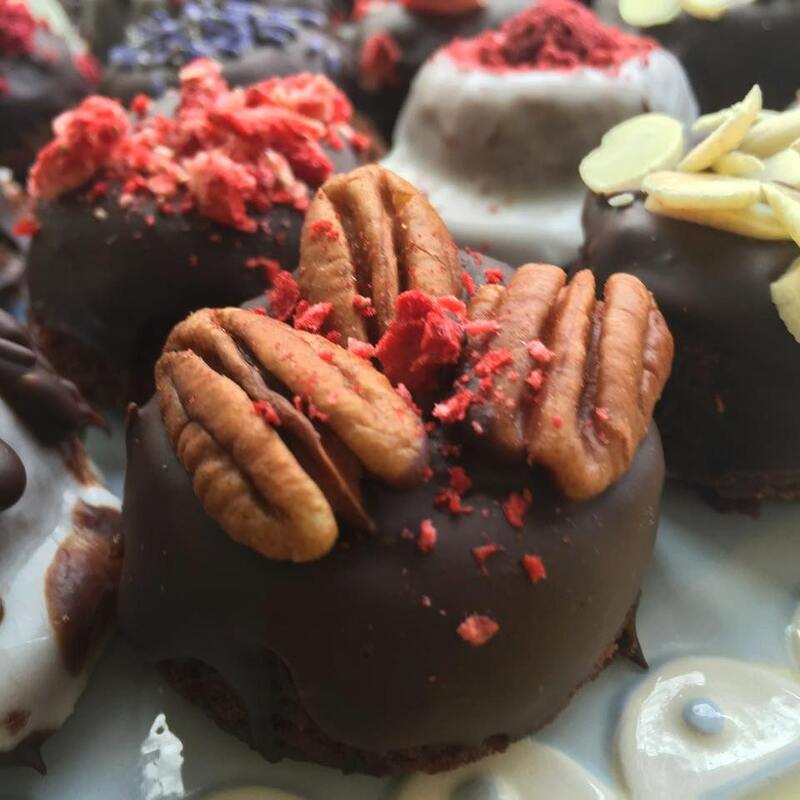 We use the highest quality ingredients, Love and Passion to make our Vegan products. 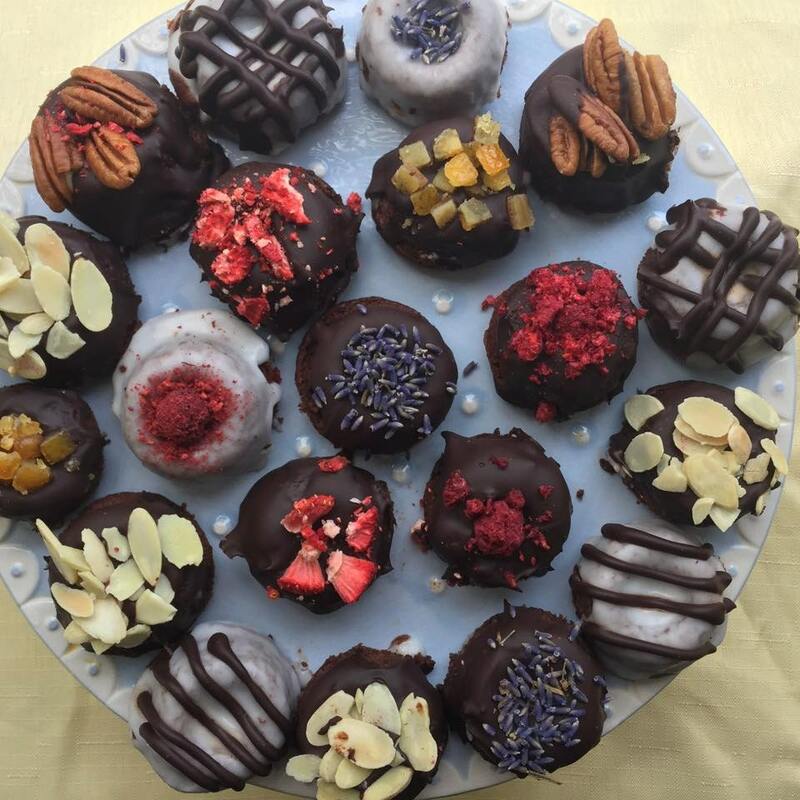 There are 12 Mini Vegan Gluten Free donuts will be shipped in a box with the ice package. 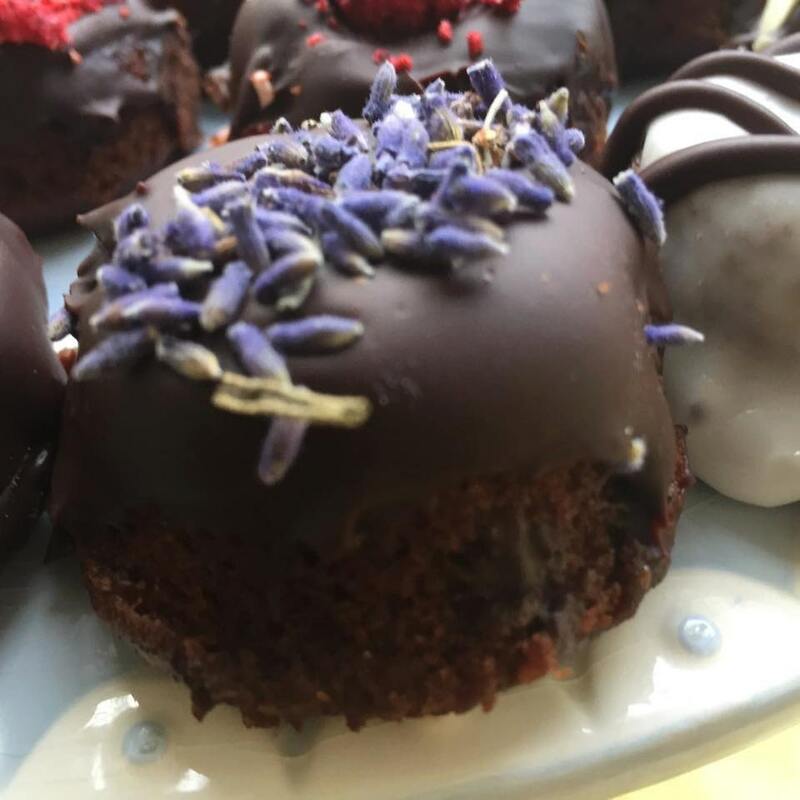 Our products are always 100% Vegan,Natural,healthy,gluten free,no eggs.